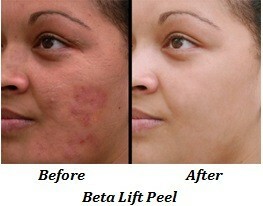 Aestheticians are skin care therapists trained in cosmetic treatments. 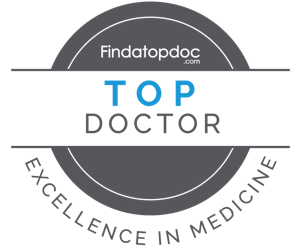 Cosmetic treatments are done to improve your aesthetic appearance as well as to treat scars. At Resnik Skin Institute, we offer aesthetic procedures such as cosmetic facials, microdermabrasion facial, and glycolic acid and beta lift peels. Skin Analysis- The aesthetician examines your skin closely to reveal various skin conditions that need to be treated. Cleansing-Your aesthetician uses cotton pads or sponges and a cleansing lotion chosen for your skin type (dry, oily, combination, normal)..
Exfoliation- Exfoliant products are used to reduce surface oil, remove dead skin cells, and soothe and hydrate your skin. Extraction of blackheads or whiteheads- Pore blockages or comedones will be gently removed. Facial massage-Your aesthetician will massage your face using gentle strokes and stimulate your skin and facial muscles. A facial mask will be applied depending on your skin type. Steam treatment may also be used. Advice on home skin care- Exclusive products and regimens will be recommended for at-home use to keep your skin looking its best between facials. A series of 5-12 treatments are required to achieve good results. The treatment can be significantly longer in cases of acne scars. Initial treatments are scheduled weekly or biweekly followed by monthly to biannually for maintenance therapy. This technique should not be considered during concomitant use of accutane (isoretinoin), active herpes infection, malignant skin tumors, and certain keratoses. 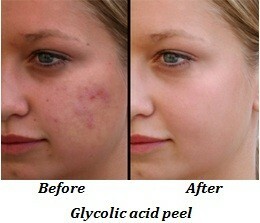 Glycolic acid and beta lift peels are cosmetic procedures called chemical peels used to rejuvenate the skin. Chemical peels can diminish fine lines and wrinkles, even out skin discoloration, brighten a dull complexion, or soften rough skin. The chemicals used in this cosmetic procedure, glycolic acid or beta salicylic acid, cause the damaged upper layers of skin to peel off and new skin to appear in 14 days. Chemical peeling requires some follow-up care. You must protect your skin from sun exposure and avoid smoking to prevent scarring and infection. Tell your dermatologist if you are prone to cold sores, undergone any cosmetic procedure in the past, had a keloid scar or are taking medicines like Accutane, Differin, or Retin A as these can affect the outcome of a chemical peel.